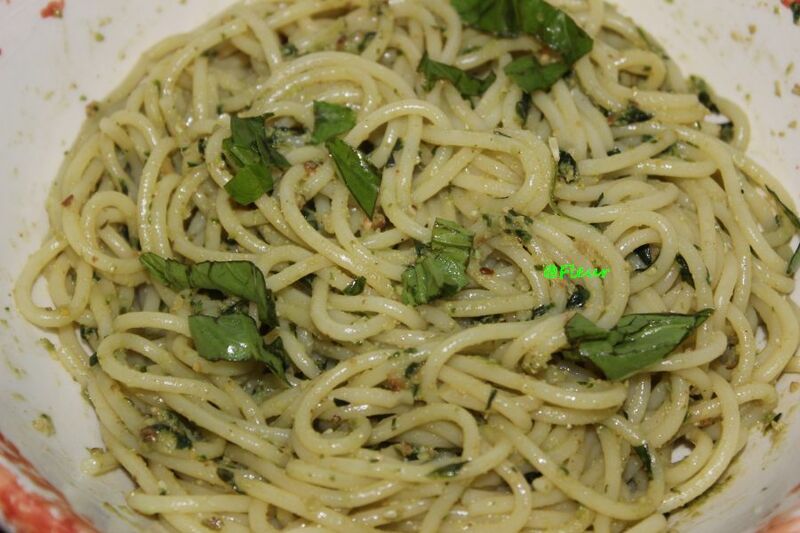 See the pesto recipe here. Cook the spaghetti as directed on package. 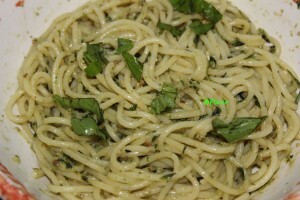 Season with pesto sauce and garnish with fresh basil. Creat de: fleur laWednesday September 18th, 2013.la08:49 AM.